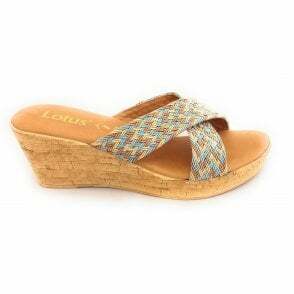 A summer must have is the Lotus Tonia mule sandal. 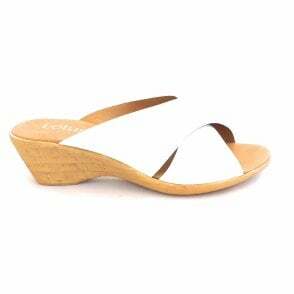 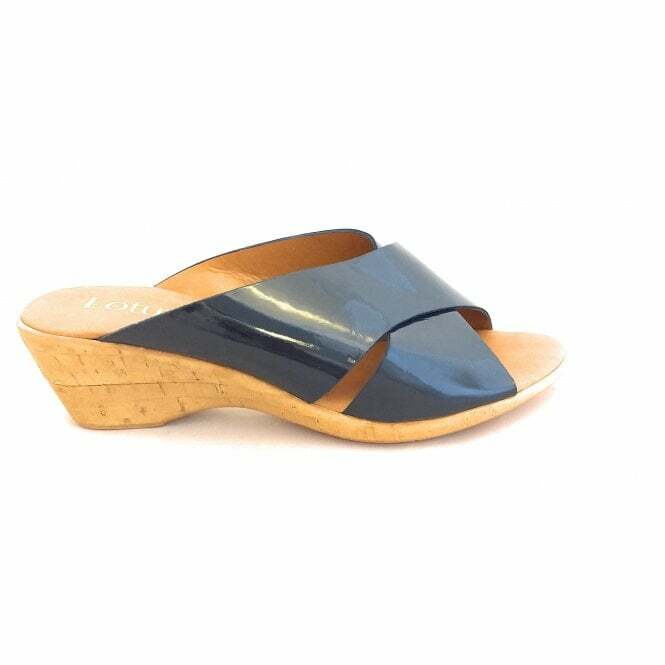 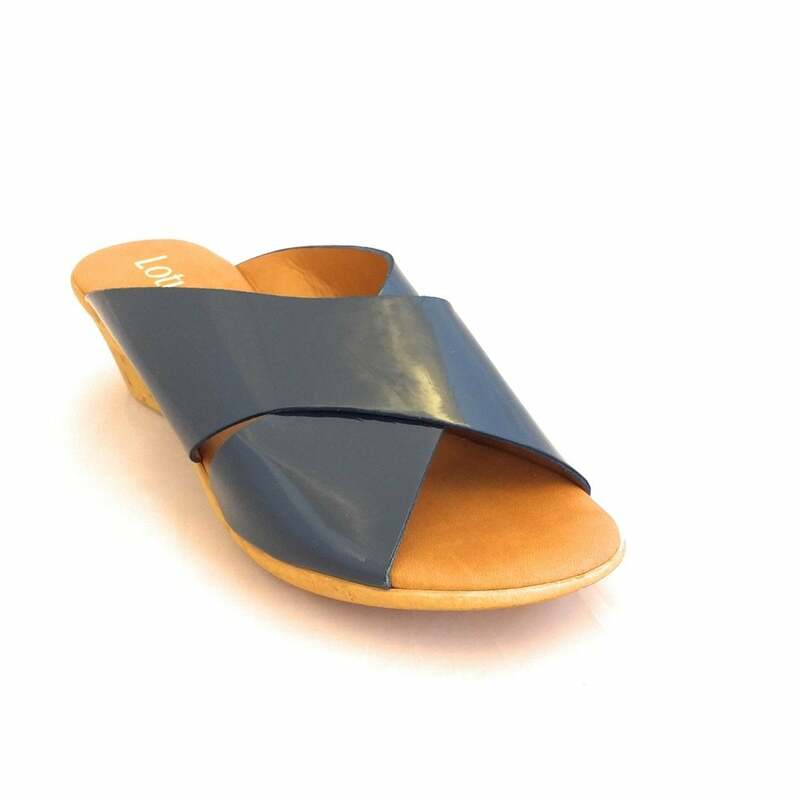 The navy patent upper features a crossover strap design set on a wedge heel. 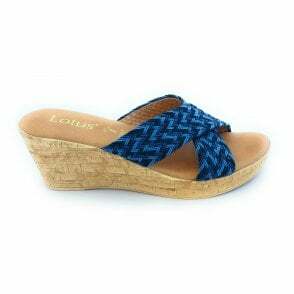 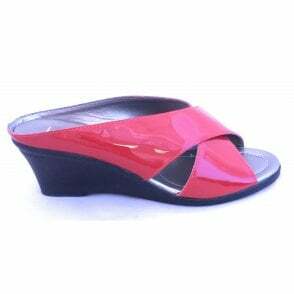 A cushioned insole ensures all day comfort.